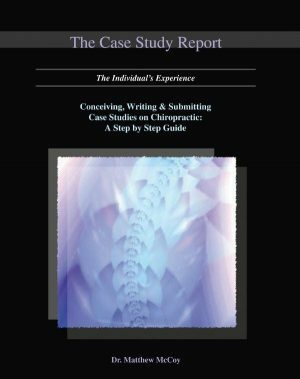 The Case Study Report: The Individual’s Experience Conceiving, Writing & Submitting Cases Studies on Chiropractic: A Step by Step Guide. This book is divided up into three parts or sections. The first part outlines the nuts and bolts of putting together a case study starting with a piece on why case studies are so important to the chiropractic profession. 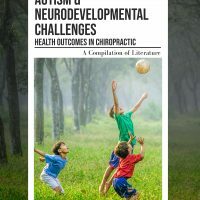 This is followed by detailed information on how to describe chiropractic interventions and the outcomes that result from the application of our science and art. 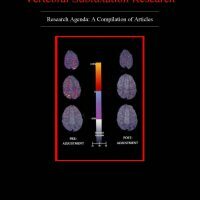 Guidance on literature searching, putting together your references and what to expect during the peer review and publication process is also provided. 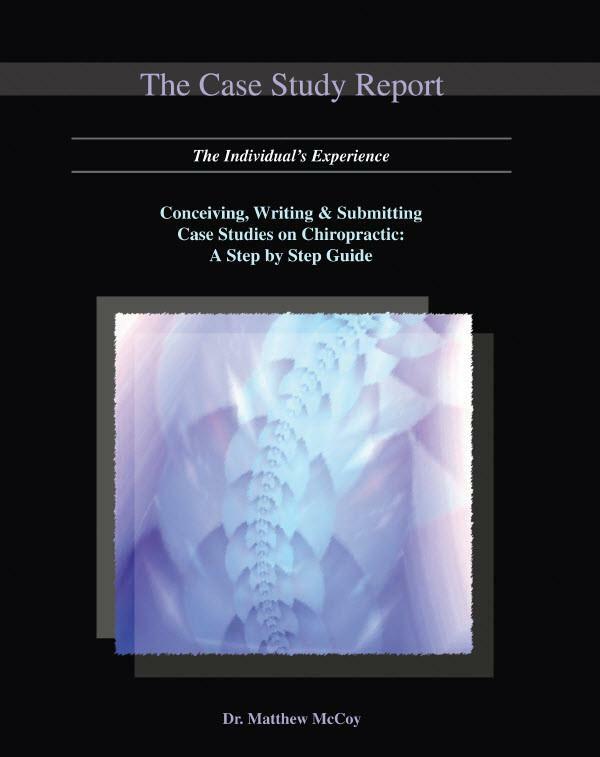 Part II takes you through an actual case study section by section and attempts to reinforce and give you an example of how a case study is built and what the end product looks like. Part III is a series of articles that pragmatically explore the very serious situation that the chiropractic profession finds itself in when it comes to its research infrastructure and culture. 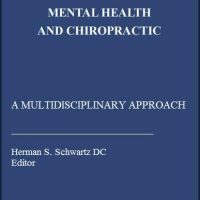 Also included in this section is a paper by Dr. Christopher Kent on Models of Vertebral Subluxation which is important reading for anyone trying to describe subluxation related research findings. While Part III is the last section I strongly encourage the reader to review this section first before tackling the nuts and bolts of putting together a case. A man is walking along the beach and observes a woman frantically picking up and throwing starfish back into the ocean that had washed up on shore following a storm. The shoreline is literally covered with starfish and the woman could never save every one. The man walks up to her and asks what she’s doing and is told that she is throwing them back because if she doesn’t they’ll die. The observer pauses and says “it doesn’t matter since you’ll never be able to throw them all back.” The woman replies as she tosses another starfish into the surf “It matters to that one” and goes back to her work.